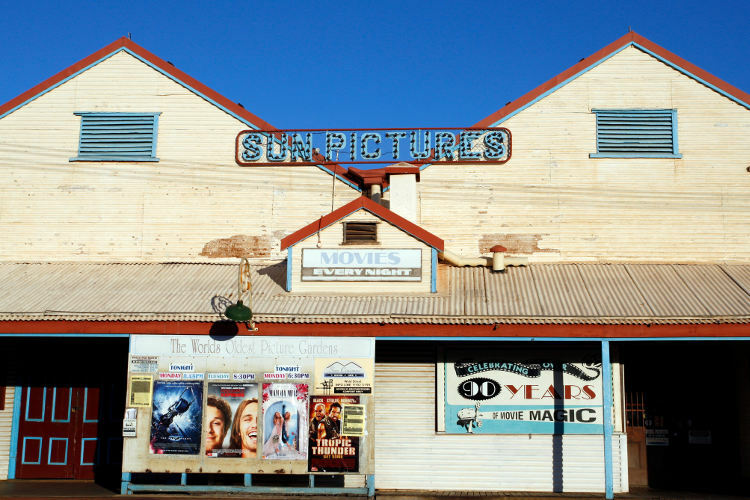 The principal towns in the Kimberley are linked by the Great Northern Highway. The Highway is the main corridor for freight movements within the region, between the Kimberley and the south of the State, and between Western Australia and the Northern Territory. General purpose port facilities are located in Broome, Derby and Wyndham. 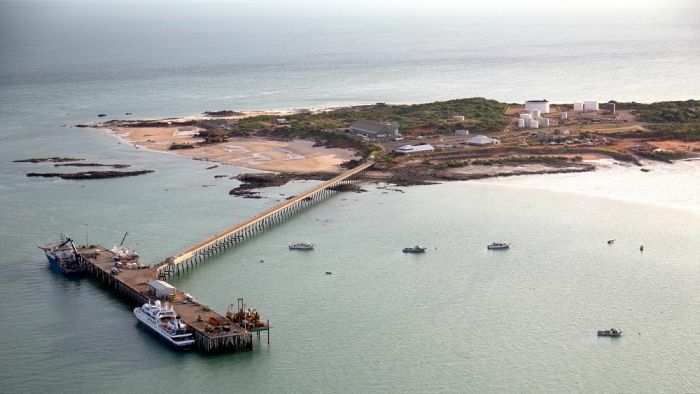 The Port of Broome is the main deep water port serving the Kimberley. The Port supports stock exports, offshore oil and gas exploration supply vessels, pearling, fishing charter boats and cruise liners. The Derby wharf was closed by the Department of Transport in 1994 but reopened as an export facility in 1997 for barges exporting lead and zinc concentrates from the Cadjebut Mine near Fitzroy Crossing. Today, the wharf is used mainly by pleasure and tourist craft. Exports through the Port of Wyndham include cattle, agricultural products from the Ord River irrigation area and nickel concentrate. Fuel and general cargo are brought in to the East Kimberley through the port. The largest ships that visit the port are usually 50,000 tonnes dead-weight with a draft of 8.5 metres and a length of 190 metres. The nbn™ Sky Muster™ satellite service provides broadband connectivity to the region. Roll-out of the National Broadband Network was declared ready for service across the Kimberley in April 2018, connecting homes and businesses in Broome, Kununurra, Derby and surrounding area. Seven regional airports and a number of community and private airfields serve the Kimberley. The main regional airports are at Broome and Kununurra. Others are at La Grange (Bidyadanga Aboriginal Community) and Kalumburu. Airnorth connects Kununurra and Broome, while Qantas/Qantas Link and Virgin provide scheduled services from Perth to Broome and Kununurra. Aviair provides regular scheduled flights between Halls Creek (including Balgo), Kununurra and Kalumburu three times a week. Horizon Power supplies electricity, which it purchases from Energy Developments Limited, in each of the five principal towns in the Kimberley, and to remote Indigenous communities in the region. Primary and secondary education facilities and services in the Kimberley are provided by both public and private sector. There are over 20 schools, including Government and Non-Government, Primary and Senior. A number of these schools are located in remote communities across the region. For a full list, please visit the WA Department of Education website. 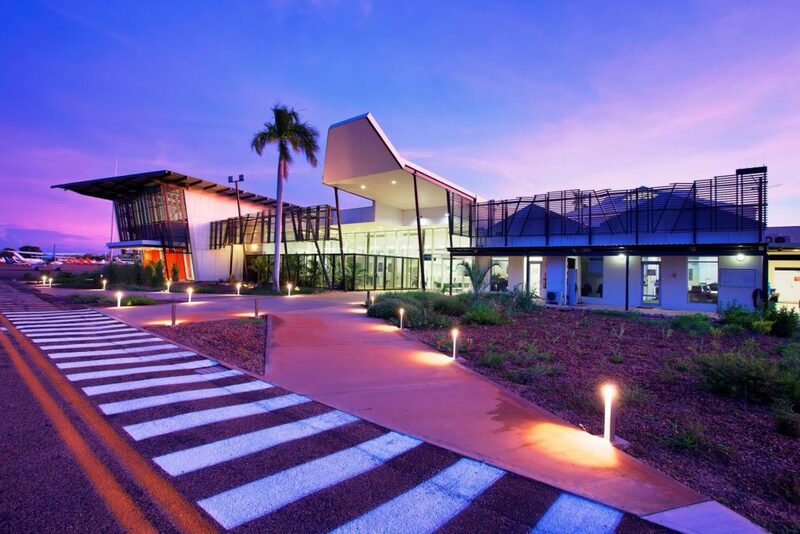 Post-secondary education is offered by the North Regional TAFE through its campuses in Broome, Derby, Fitzroy Crossing, Halls Creek, Kununurra and Wyndham. 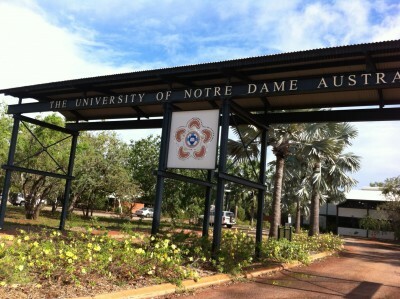 The University of Notre Dame established a Broome Campus in 1998 and has been expanding the range of courses offered. These courses include the Certificate III in Education Teacher Assistant (Indigenous), and the Diploma of Enrolled Nursing Vocational Education and Training programs. A Tertiary Enabling Program provides an alternative entry program for those wishing to study at tertiary level but who do not currently meet admissions criteria. Undergraduate bachelor degrees are available in Education and Nursing. Specialist services are provided from the larger regional centres and, where necessary, patients are flown to Perth or Darwin for treatment that cannot be provided by region-based or visiting specialists. The Western Australian Country Health Service provides ambulance services in Derby, Fitzroy Crossing, and Halls Creek. St John Ambulance provides ambulance services in Broome, Kununurra and Wyndham. The region is well serviced by a number of Australia Post retailers in each main centre as well as big chain supermarkets such as Coles, Woolworths and IGA and some of the big four banks (Commonwealth, Westpac, ANZ and NAB). Whether you are visiting or relocating, there is a variety of retailers in the area with plenty to offer.